Conventional diet and exercise often fail to help you achieve your ideal weight. At Izar Wellness Institute, Dr. Rafael Nieto provides a variety of weight-loss and spot-reduction treatments at Izar Wellness Institute to help you slim down and reach a healthy weight. Men and women of Charlotte, North Carolina, can call his office or book an appointment online to learn how to achieve success in weight loss. What weight-loss treatments are available? 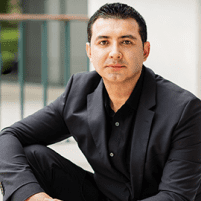 Dr. Rafael Nieto can help you understand how each of these approaches can help you. He may offer them independently or combine them to get you the best results. HCG injections are injections of the hormone known as human chorionic gonadotropin, which women produce during pregnancy. HCG, however, has the ability to speed up your metabolism and break down stored fat. When combined with a very low-calorie diet, HCG injections result in fast, effective weight loss. Sermorelin is especially effective as you age when the production of HGH naturally slows down, making you put on unexpected pounds. Kybella is an FDA-approved injectable medication that breaks down fat specifically in the submental region – otherwise known as a double chin. You may have excess fat at the chin due to being overweight, but sometimes it’s a genetic condition or a natural result of aging. Regardless, a double chin can make you look heavier or older than you actually are. You may need up to six injections to get optimal results, but the results are permanent. How does hormone therapy help with weight loss? When your hormones are out of balance, you’re vulnerable to weight gain. You may also find it hard to lose weight through conventional diet and exercise programs. At Izar Wellness Institute, Dr. Nieto can assess your hormone status and offer replacement hormones, such as testosterone for men, to help restore hormonal balance and make weight loss possible again. To learn about the strategies for weight loss available at Izar Wellness Institute, call the office or book an appointment using the online tool.